“While the retirement age for all employees at Kasturi is 60 years, there was no such stipulation for board members. It was proposed by Murali that 65 years be set as the retirement age for board members,” said the sources. The Kasturi board of directors has 12 members, descending from four cousins — G Narasimhan (father of N Ram, N Ravi, N Murali); S Parthasarathy (father of Malini Parthasarathy, Nirmala Lakshman and Nalini Krishnan); S Rangarajan (father of Ramesh Rangarajan, Vijaya Arun and Akila Iyengar) and G Kasturi (father of K Balaji, K Venugopal and Lakshmi Srinath). According to the faction opposed to Ram, all members at the meeting agreed to the proposal and Ram, who turns 65 this May, was identified as the first member to step down from the board followed by Murali and N Ravi, who will turn 65 in August 2011 and 2013 respectively. It was also decided, these sources said, that after Ram’s retirement, Ravi would take over as Editor-in-Chief of the group while Malini Parthasarathy would be appointed the editor of The Hindu and Venugopal the editor of The Hindu Business Line. The Hindu used to be edited by G. Kasturi from 1965 to 1991. The power-struggle in the extended family is said to go back to this period. 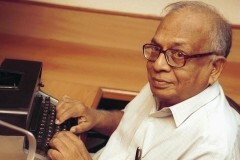 On his retirement, Deputy Editor N. Ravi, N. Ram's younger brother, replaced G. Kasturi as Editor. 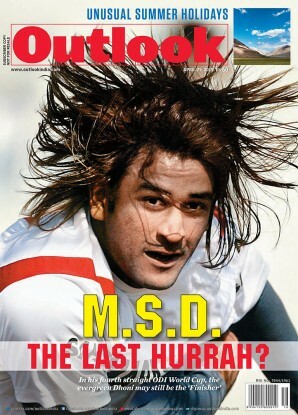 N. Ram was given independent charge of Sportstar and Frontline. Nirmala Lakshman, Kasturi Srinivasan's granddaughter, became Joint Editor of The Hindu and her sister, Malini Parthasarathy, Executive Editor. 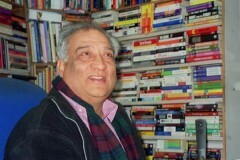 There was a change at the helm once again in 2003 when N. Ram took over the editorship of The Hindu on June 27, 2003. The Express report also mentions that Murali, Ravi and Malini Parthasarthy questioned the appointment of two family members in the company by N. Ram " without the board’s consent and proper governance norms"-- Narayan Lakshman, son of Nirmala Lakshman; and Vidya Ram, N.Ram's daughter. It also goes on to allege that the trio "also pointed out several alleged financial irregularities in the way in which Kasturi’s resources, financial as well as editorial, were used to further the interests of some board members". The Deccan Chronicle is a Hyderabad paper with a Chennai edition. And one should not miss the reference to China. An SMS, doing the rounds through the day was the old joke when Mr Ram took over the Hindu: "Rumour has it that it has been unofficially renamed as the People's Daily of Chennai." It was countered by another one that just said: "The American Express?" “The report, ‘Battle for control breaks out in The Hindu very divided family’, (The Indian Express, The Financial Express, March 25, 2010) is based on information received from multiple and high-level credible sources. “All facts were verified and cross-checked to the highest standards of accuracy and fairness that The Express Group holds itself to. We believe our report was neither malicious nor defamatory. “We have great regard for The Hindu as an institution and for its Editor-in-Chief N Ram as a journalist and editor for their commitment to principled journalism. Ram, incidentally, has denied that he made such a commitment. “It is essential that the Board considers issues of corporate governance and the appointment of family members seriously. To point out the obvious, the business cannot accommodate every member of the family, particularly when there are no institutional mechanisms in place to prevent the receipt of unjustifiably large entitlements over a long period of time. Each of us, whether in the previous, current or next generation, has received and continues to receive tremendous benefits from Kasturi and Sons, which far outweigh those received by non-family employees. It is high time that we recognize that our privileges are derived primarily from the contributions and loyalty of over 3500 non-family employees. Each one of us has, in some way or the other, abused their loyalty, trust and contribution. I am told that Mr Murali was opposed to the induction of the children of some of the family members hired at very high salaries and that led to unpleasantness among members and finally, his ouster. Is this correct? Totally wrong, as the written record will show. Any appointment of a relative of a Director that needed approval by both the Board of Directors and Shareholders before going to the central government was approved unanimously, without a murmur of dissent by any Director or Shareholder. Cryptic. Surely she does not mean the supporters of the Deputy Chief Minister of Tamil Nadu? Well, N Ram is hosting lunch for Chennai editors & deputy CM Stalin for the June World Classical Tamil Conference. It ought to be exciting! Ram is very gracious. Venugopal is the one tearing into me for my tweets! Ram introducing me to Tamil heavies! Me, an irreverent Northie! Good lunch! Gracious host, tasty food, many bigwigs blowing dy CM Stalin! Key family members were not there. Must have been with CLB.